The cutest Moogle/ Mogry Wallpaper ever! Kupo! Click on the Moogle Art for fullsize! This was made for the official Final Fantasy 25th Anniversary Art Contest by Square-Enix, and the German artist behind it (and another great piece) Randis Albion won a meeting with the epic Final Fantasy Music Composer Nobue Uematsu! Congratz Randis, this was well deserved! 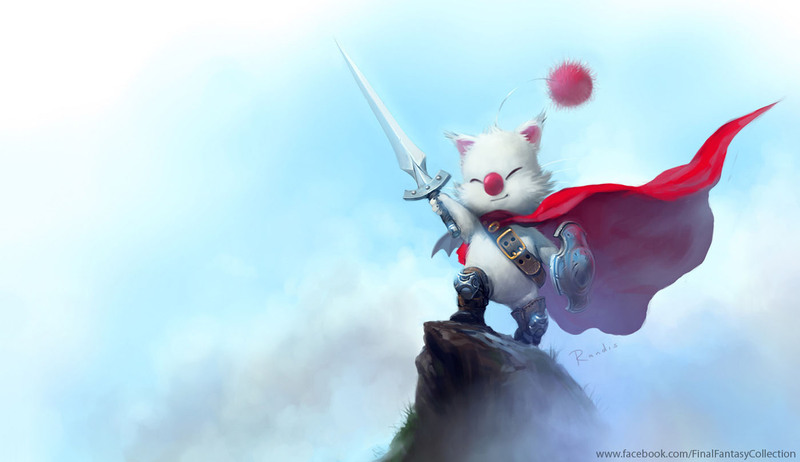 This damn awesome Moogle artwork is probably really the cutest fan art ever kupo and just perfect as a wallpaper or?